ARVO 2019 - Annual Meeting | Heidelberg Engineering Ltd.
Meet Heidelberg Engineering at ARVO 2019, Booth #1117. The SPECTRALIS® diagnostic imaging platform – a powerful combination of confocal scanning laser ophthalmoscopy (cSLO), spectral domain OCT (SD-OCT) and patented eye-tracking technology has set the standard for multimodal retinal imaging for over a decade. Now, Heidelberg Engineering has optimised the longer wavelength and lower sensitivity roll-off of swept-source OCT for imaging the anterior segment. 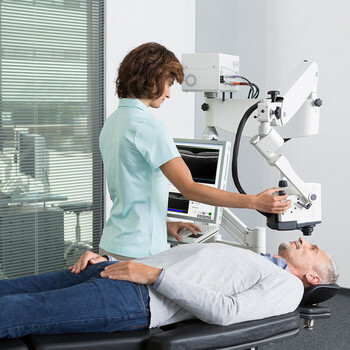 ANTERION®* offers topography, tomography, anterior segment metrics and axial length in one upgradeable, modular device. 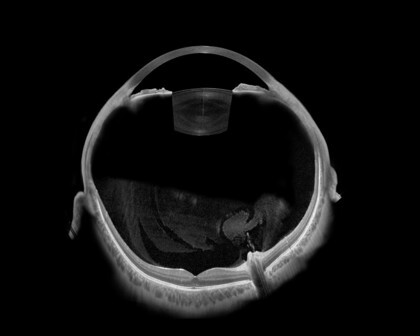 The stunning swept-source OCT images empower clinicians with visual confirmation of the reliability and accuracy of the measurements. Find out more about how Heidelberg Engineering has capitalized on the strengths of each OCT technology by optimizing each for specific ocular imaging applications. Visit us at booth #1117 or read more. *The ANTERION is not available for sale in the United States. A Whole Eye montage created using Adobe Photoshop composed of 5 images acquired using ANTERION for the anterior segment and 6 images acquired using SPECTRALIS for the posterior segment. Composite image deliberately not to scale. An imaging parody for promotional purposes only. Artist: Tim Cole, Clinical Market Development Manager, Heidelberg Engineering UK. 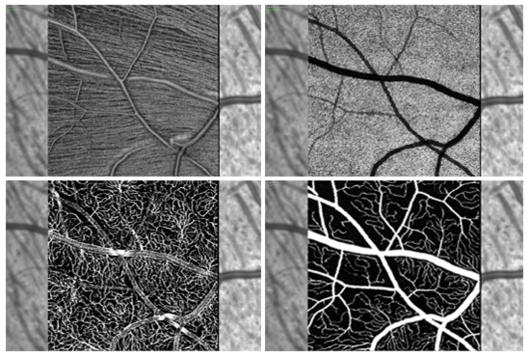 Discover the true potential of OCT angiography. High resolution imaging and precision eye tracking forms the basis for developing accurate analytics with real clinical value. 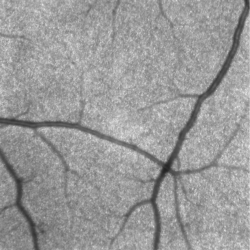 The SPECTRALIS OCT Angiography Module delivers high-resolution OCTA images with a lateral resolution of 5.7 μm/pix. Combined with the precision of TruTrack Active Eye Tracking, the OCTA Module enables fine capillary networks to be visualized in great detail. 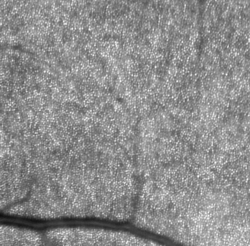 The axial resolution of 3.9 μm/pix allows for segmentation of all four histologically-validated retinal vascular plexuses. Custom slabs within the superficial and deep vascular plexuses offer a more comprehensive clinical evaluation. Resolve microstructures and track change to gain insight into disease progression. The SPECTRALIS High Magnification Module elegantly demonstrates the capability of confocal scanning laser ophthalmoscopy (cSLO) to resolve ocular microstructures by reducing intraocular light scattering. These ocular microstructures can even be visualized in eyes with cataracts. The image contrast and clarity obtained by combining laser light selectivity with confocal scanning are often not available from fundus photography, highlighting critical diagnostic details not visible on ophthalmoscopy. After a region of interest has been identified using a larger field of view, the user can acquire ~8° magnified images at an enhanced resolution to investigate the area at an even higher level of detail. This possibility may provide unique insight into the progression of certain retinal diseases. With the Flex Module, the SPECTRALIS is affixed to a movable stand with an adjustable and highly flexible arm. Patients unable to sit up can be examined thoroughly and conveniently without sacrificing image quality. All SPECTRALIS imaging modalities ranging from OCT to scanning laser fundus imaging and angiography are available in combination with the Flex Module. Optionally, the Flex Module includes a backup battery with 20 minutes autonomy to avoid interruptions when moving the system between power outlets. *The FLEX is not available for sale in the United States. You are invited to enjoy the awards presentation, research highlights from guest speakers and dinner reception. Date: Monday 29th April 2019, 7:30 p.m. - 9:30 p.m.
Stay up-to-date on the latest SPECTRALIS updates and new product offerings, educational seminars and e-Learning tutorials with the Heidelberg Engineering e-Newsletter.